In the mid 1990′s, with his life long passion and expertise for all things Jaguar, including preparing and racing his Jaguar 420 with great success, Peter Cooper was conscious that the braking performance of these classics was inadequate for modern-day use. This led to the design and development of specially manufactured uprated braking systems for Jaguars and other marques. Coopercraft pioneered this concept and continue to be market leaders with a quality product which is endorsed worldwide. 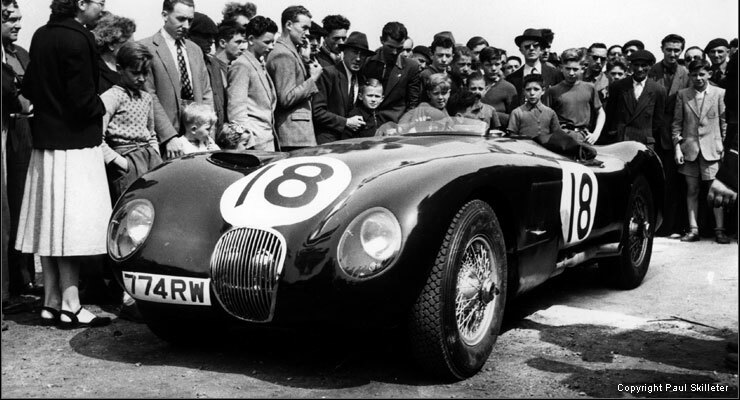 It was Jaguar in the 1950′s who introduced the disc brake system, stealing a march on the competition at Le Mans where they enjoyed a superiority over formidable opposition to win this historic race in 1953 with the C type, following this with a hat trick of wins in 1955, ’56 and ’57. 40 years on and the link between Jaguar, disc brakes and racing proved to be the catalyst which has led to many safer Jaguars and other classics being enjoyed by their discerning owners, across the globe! Now known as Coopercraft International® the business is owned and managed by Peter and Debbie Cooper, who continue to research, develop and produce new products to add to their popular range of uprated braking products. We offer a full fitting service in conjunction with our classic maintenance and competition preparation.